The Richardson Citizen Police Academy Alumni Association, Inc. (RCPAAA) is a non-profit 501(c)(3) founded in 1993 to support the Richardson Police Department. All graduates of the Richardson Citizen Police Academy are eligible to join. 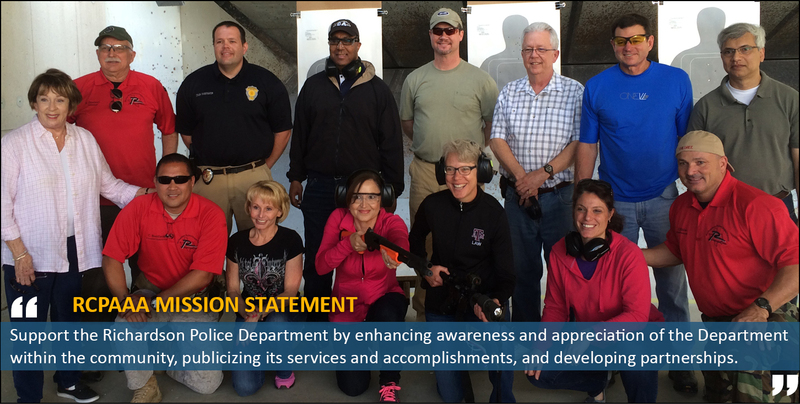 As citizen ambassadors to the Richardson Police Department (RPD), the RCPAAA assists the police department with volunteer activities and promotes the RPD within the community. Some activities include the semi-annual “Electronics Recycling and Paper Shredding” event that is held each Spring and Fall. Children of RPD employees may apply for scholarships that the Alumni Association awards to those about to enter a college or university. And help with medical bills for retired K9s is provided by the RCPAAA.